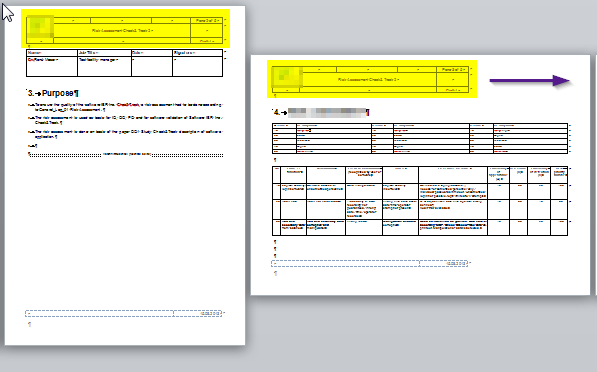 I have a Word 2010 document with both portrait and landscape pages. I have a table in the page header, with its width set to 100%. The problem is that on the landscape pages the header table is only as wide as the portrait pages. In landscape page header view, go to the Design tab and click the "Link to Previous" button (so it is not highlighted) in the navigation menu. This will allow the landscape page to use the table width property. Not the answer you're looking for? Browse other questions tagged microsoft-word-2010 or ask your own question. 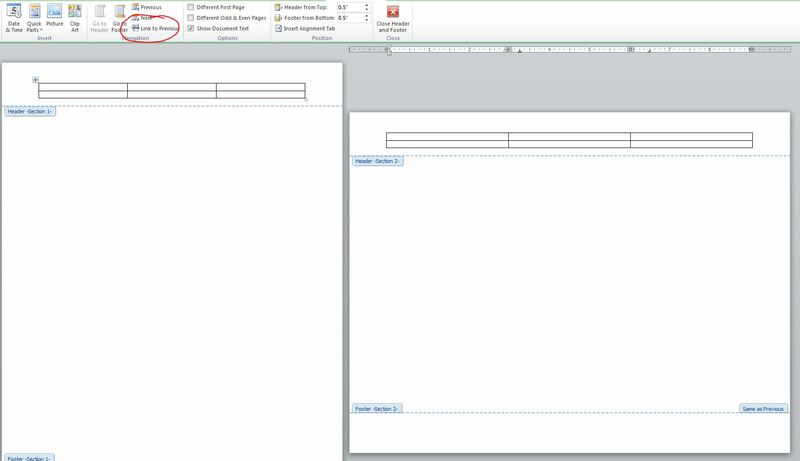 Is there a way to repeat the first two rows of a table as a header on each page in Word? How do I remove headers / footers after the first page? Word 2010 header “different first page” option does not work if you select the same built-in header preset?